A metal detector enthusiast has found a major hoard of Viking silver in a field on the Cumbria-Lancashire border. Darren Webster, from Carnforth, uncovered more than 200 silver pieces including ornate bracelets, coins and ingots in a lead pot. He said he had searched the same undisclosed location several times before and found nothing. The silver is now with experts at the British Museum, who described the find as "of national significance". They will reveal their findings at the end of the year. 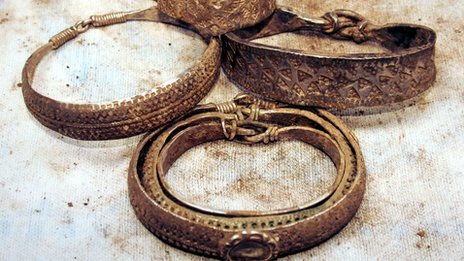 A metal detecting enthusiast unearthed 'the find of a lifetime' when he discovered a Viking treasure hoard including 200 pieces of silver jewellery. Darren Webster dug up a 1,000-year-old casket that also held coins, hacksilver and ingots while scouring at an undisclosed location on the border between Cumbria and North Lancashire. Experts at the British Museum in London say the find is of 'national significance'. If the Duke of Cambridge is looking for a little guidance on how to behave once he inherits the throne, he should head straight to the British Library. Offering advice on the art of kingship, a set of manuscripts dating back to the 9th century is set to go on display there as part of a new exhibition. The manuscripts cover all aspects of a monarch's life, including what to eat, when to sleep and the cure for an upset stomach - a hot maiden. The new exhibition will include manuals on royal etiquette, known as 'mirrors for princes' which were developed during the medieval period to advise monarchs how to rule themselves and their kingdoms. Centuries before movie and television audiences thrilled to tales of werewolves, vampires and wizards and Halloween became the second biggest celebration of the year, the ancient Greeks and Romans were spinning scary stories about monsters, ghosts and the afterlife, says University of Massachusetts Amherst Classics professor Debbie Felton, who studies the folklore of the supernatural. Felton is the author of Haunted Greece and Rome: Ghost Stories from Classical Antiquity, which relates stories of ghosts and hauntings from ancient times, many of which are similar to modern tales of the supernatural. Britain’s Portable Antiquities Scheme announced this week details about two recent discoveries of Roman coin hoards. One involved the find of more than 9000 coins that was discovered in August 2009 by a novice metal detector user in the Shrewsbury area. This is one of the largest coin hoards ever discovered in Shropshire and recent work by the British Museum has revealed important new information about the find. The finder, Mr. Nic. Davies, bought his first metal detector a month before making the find in August 2009. The hoard was discovered close to a public bridleway on land that Mr Davies did not have permission to detect on. The coins were placed in a very large storage jar which had been buried in the ground around 335 AD. With the information provided by Mr Davies, an excavation was undertaken to learn how the coins were placed in the ground. This excavation showed that the pot was buried probably part full and topped up before being sealed with a large stone that acted as both a lid and marker. An archaeological excavation at Poggio Colla, the site of a 2,700-year-old Etruscan settlement in Italy’s Mugello Valley, has turned up a surprising and unique find: two images of a woman giving birth to a child. Researchers from the Mugello Valley Archaeological Project, which oversees the Poggio Colla excavation site some 20 miles northeast of Florence, discovered the images on a small fragment from a ceramic vessel that is more than 2,600 years old. The images show the head and shoulders of a baby emerging from a mother represented with her knees raised and her face shown in profile, one arm raised, and a long ponytail running down her back. 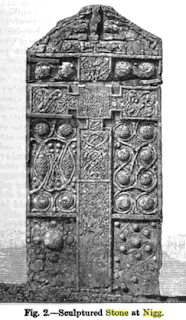 A small voluntary group has secured enough money to conserve and redesign the displaying of an intricately carved Pictish stone in Easter Ross. 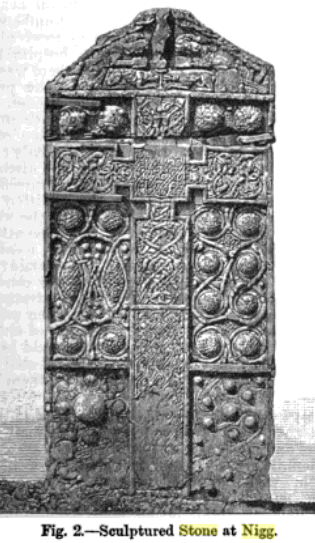 The Nigg cross-slab dates from the 8th Century AD and features snakes and a depiction of monks receiving bread from a raven sent by God. Nigg Old Trust has received a funding package of £178,000. The Heritage Lottery Fund, Scottish government and European Community Highland Leader fund contributed. The stone is displayed at Nigg Old Church. New York’s Metropolitan Museum of Art will be reopening 15 new galleries dedicated to the history of Islamic art – one of the finest and most comprehensive collections of this material in the world. The reopening will take place on November 1st and give visitors the chance to see over 1200 works spanning over thirteen centuries of history. Called the New Galleries for the Art of the Arab Lands, Turkey, Iran, Central Asia, and Later South Asia, its design features within the new space highlight both the diversity and the interconnectedness of the numerous cultures represented here; multiple entryways will allow visitors to approach the new galleries—and the art displayed within—from different perspectives. Almost 850 years old, the sprawling structure was used as a medieval bishops’ house, making it one of the country’s most important buildings. It was built shortly after William I’s major building programme started following the Conquest. 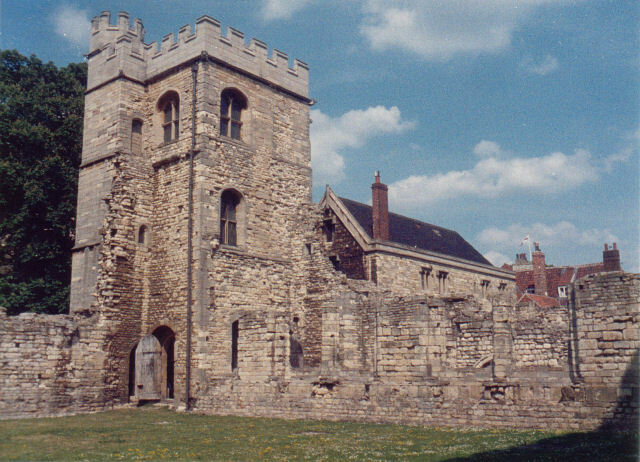 According to historians, the programme helped turn the “thriving town” of Lincoln into an “important military and ecclesiastical centre”. The earliest record of the site dates back to a charter of King Stephen between 1135 and 38. Building of the palace was completed by 1163 and was one of the first to be built in England in what was then considered a “new gothic style”. A reconstruction based on the skull of Norway’s best-preserved Stone Age skeleton makes it possible to study the features of a boy who lived in Scandinavia 7,500 years ago. “It is hoped that this reconstruction is a good likeness and that, if someone who knew him in life had been presented with this restoration, they would hopefully have recognised the face”, says Jenny Barber, an MSc student at the University of Dundee in Scotland. She has scientifically rebuilt the face of the strong and stocky Viste Boy, who lived in the Vistehola cave near Stavanger, so that people can now look him right in the eye. Ms Barber is studying forensic art, an unusual discipline embracing such elements as human anatomy and identification in order to recreate the appearance of an actual person. This modelling method is primarily employed to assist police investigations, and is little known or used in Norway. But the country’s most extensive reconstruction of a Stone Age skeleton has now been achieved. Archaeologists from the University of the Ryukyus in Japan have discovered large parts of a Mongolian/Chinese ship that was likely part of the Mongol invasion fleet that tried to invade the island in 1281. The find is the first intact wreck related to invasion attempts of Japan by the Mongolian ruler, Kublai Khan. Led by Yoshifumi Ikeda, the archaeologists found the near complete hull structure about 1-meter under the seabed, and about 20-25 meters beneath the ocean’s surface off the Takashima Island near Nagasaki. The discovery is so monumental because much of the hull has remained intact, including a 12-meter section of the keels with rows of planks attached to the keel, Ikeda reported. The vessel appears to be well preserved due to the cover of sand. Italian archaeologists have discovered a pair of skeletons still holding hands after being buried about 1,500 years ago. 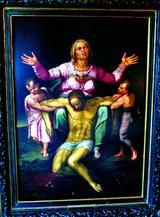 The man and woman were buried at the same time between the 5th and 6th century A.D. near the Italian city of Modena. Wearing a bronze ring, the woman is positioned so she appears to be gazing at her male partner. “We believe that they were originally buried with their faces staring into each other. The position of the man’s vertebrae suggests that his head rolled after death,” Donato Labate, the director of the excavation at the archaeological superintendence of Emilia-Romagna, told Discovery News. A team of international treasure hunters is close to finding the final resting place of British Naval hero Sir Francis Drake. They have found two of his ships which were scuttled off the coast of Panama over 400 years ago following the adventurer's death. The ships were scuttled by Drake's crews in 1596 after the English captain was buried at sea following his death at the age of 55 from dysentery. 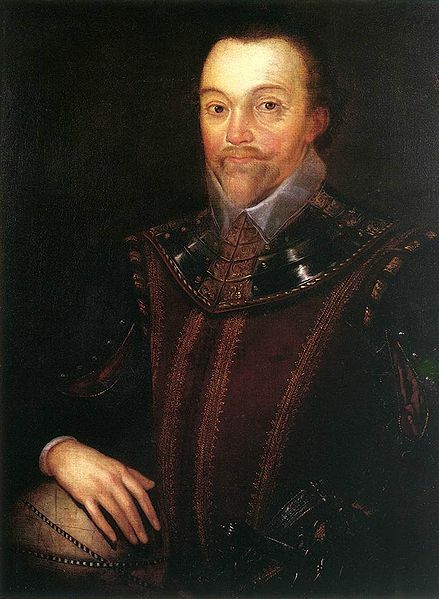 Drake is considered one of Britain's greatest naval heroes having led the English fleet in victory over the Spanish Armada in 1588 as they prepared for an invasion of Britain. Viking scholars from around the world came to the Irish communities of Dundalk and Annagassan last week to take part in a conference about the recently discovered fortress and longphort of Linn Duachaill. The conference was held at Dundalk’s Town Hall, while the nearby County Museum Dundalk has also started an exhibition entitled ‘Raiders, Traders and Innovators The Vikings and County Louth’. 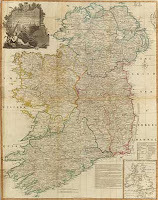 The conference focussed on the unique importance of the recent discovery of Linn Duachaill longphort at Annagassan and highlighted its premier status in relation to very rare but similar sites in Ireland, Britain and Europe. The exhibition at the Museum has put on display for the first time many of the amazing archaeological finds discovered in September 2010 during the research archaeological excavation. The National Museum of Ireland has also loaned the County Museum important Viking treasures discovered close to the longphort over the past centuries. These were used by the Vikings living at Linn Duachaill. Freeman delves deep into the subject of religious relics using original sources. Freeman’s book mixes history with elements of theology and anthropology. Most of the relics Freeman discusses are from the Middle Ages. 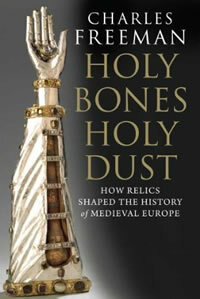 Holy Bones Holy Dust delves into practices across Europe, covering various religions. He also includes details about the Crusades, the Byzantine Empire, the confusing Italian city-states, and Protestantism. His narration is lively and you can tell he loves his subject. For anyone who loves history. As part of the first external review of the Medieval Studies Program last year, graduates responded to a survey concerning their careers. Every one of the respondents was either employed or pursuing further education, a remarkable record for such a new program—especially considering the difficulties that one may observe in the current economy. Another remarkable tendency among our Medieval Studies graduates, apparent from the survey responses and further information from graduating students, is their willingness to pursue graduate degrees at prestigious universities overseas, and in a remarkable variety of disciplines. 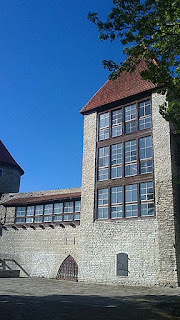 This variety speaks to the interdisciplinary strengths of the Medieval Studies Program, while the willingness of these students to pursue their studies in an international context speaks to their independence of spirit, their sense of adventure, and their clear preparedness to take advantage of opportunities and to add to their learning and personal growth. Instructors in Medieval Studies are not surprised by such qualities in Medieval Studies graduates, because students in the Program tend to be exceptionally committed to it: genuinely engaged by course material, ready to volunteer for the Program’s annual Medieval Day, to promote the Program to high school students, and to showcase their own achievements at colloquia that they have organised themselves. 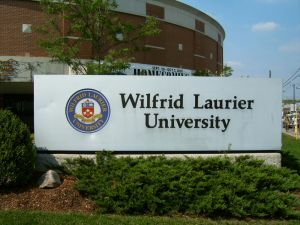 Often at the forefront of these kinds of initiatives are officers and other members of the Medieval Students’ Society, which has been running since 2005, and is unquestionably one of the strongest student clubs on campus. A project led by the University of St Andrews could help preserve historically valuable medieval churches in Scotland. The scheme aims to discover which churches in Scotland are survivors of the Reformation. A pilot for the Corpus of Scottish Medieval Parish Churches project has already analysed 105 buildings in the dioceses of Dunkeld and Dunblane. But now a grant of £490,656 from the Arts and Humanities Research Council (AHRC) will allow the architectural and documentary evidence for the 258 parishes in the dioceses of St Andrews and Brechin to be similarly logged. This second phase is expected to take three years, starting in March 2012. The aim is to eventually create a website archive – freely accessible – of all buildings and sites, and their documentation, associated with mediaeval parish churches in Scotland. The Hungate archaeological excavation, which has uncovered hundreds of artefacts dating back to the Middle Ages, is nearing completion. 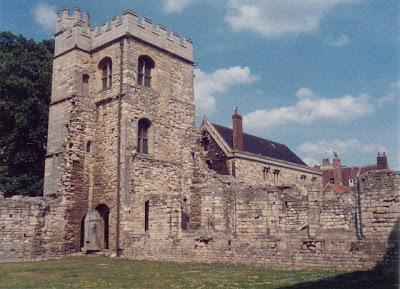 On the weekend the last public tours were held of the site located in the northern English city of York. The five-year-long excavation, which has uncovered 2000 years of York’s history, comes to an end in December. Over the course of the dig, which is funded by Hungate (York) Regeneration Ltd, York Archaeological Trust has welcomed more than 23,000 visitors to the site and uncovered a variety of unique artefacts. Three of the world’s top scholars in medieval and Franciscan studies are editing this series. They are Michael J. Blastic, Jay M. Hammond, and Wayne Hellmann. In addition to their own commentaries, they have assembled an impressive list of commentaries on the Early Documents of Francis and Clare from other top scholars, including Luigi Pellegrini, Cap., Jean-François Godet-Calogeras, Michael F. Cusato, Laurent Gallant, William J. Short, Ingrid Peterson, and Lezlie Knox. These commentaries will become “must have” reading for any scholar, student or interested lay person in the Early Documents of Francis and of Clare. Archaeologists have long known that Yavneh-Yam, an archaeological site between the Israeli cities of Tel Aviv and Ashdod on the Mediterranean coast, was a functioning harbor from the second millennium B.C. until the Middle Ages. Now Tel Aviv University researchers have uncovered evidence to suggest that the site was one of the final strongholds of Early Islamic power in the region. According to Professor Moshe Fischer of Tel Aviv University’s Department of Archaeology and Near Eastern Cultures and head of the Yavneh-Yam dig, the recent discovery of a bath house from the Early Islamic period which made use of Roman techniques such as heated floors and walls, indicates that Arabic rulers maintained control of the site up until the end of the Early Islamic period in the 12th century AD. Considered alongside other datable artefacts — such as pottery, oil lamps and rare glass weights — this architectural feature demonstrates that Arabic control was maintained in Yavneh-Yam at a time when 70 percent of the surrounding land was in the hands of Christian crusaders. It's like something out of "The Da Vinci Code": Hundreds of thousands of fragments from medieval religious scrolls are scattered across the globe. How will scholars put them back together? The answer, according to scientists at Tel Aviv University, is to use computer software based on facial recognition technology. But instead of recognizing faces, this software recognizes fragments thought to be part of the same work. Then, the program virtually "glues" the pieces back together. This enables researchers to digitally join a collection of more than 200,000 fragmentary Jewish texts, called the Cairo Genizah, found in the late 1800s in the Ben Ezra Synagogue in Cairo. The Cairo Genizah texts date from the ninth to the 19th centuries, and they're dispersed amongst more than 70 libraries worldwide. Researchers will report on their progress in digitally reuniting the Cairo Genizah during the second week in November at the 2011 IEEE International Conference on Computer Vision in Barcelona. In conjunction with their exhibition Royal Manuscripts: The Genius of Illumination, the British Library has created a Royal Manuscripts app for Apple iPad and iPhone users, which features over 500 images from 58 manuscripts in their collection. The app is available for download at a cost of just £1.49 for the iPhone and £2.99 for the iPad, until November 2011. Great Britain’s first fully intact Viking boat burial site has been discovered by archaeologists working in northwest Scotland. The 5 meter-long grave contained the remains of a high status Viking, who was buried with an axe, a sword with a beautifully decorated hilt, a spear, shield boss and bronze ring-pin. The Viking had been buried in a ship, whose 200 or so metal rivets were also found by the team. The 1,000-year-old find, on the remote Ardnamurchan Peninsula, was made by the Ardnamurchan Transitions Project (ATP) which is a team led by experts from the Universities of Manchester, Leicester, CFA Archaeology Ltd and Archaeology Scotland. The secrets of the Rare Book and Manuscript Library on the sixth floor of Van Pelt Library have now been revealed on the internet. A two-year grant funded by the National Endowment for the Humanities has allowed Penn to finish digitizing medieval and Renaissance manuscripts produced before 1601. A second grant was secured in March to digitize manuscripts from 1601 to 1800. 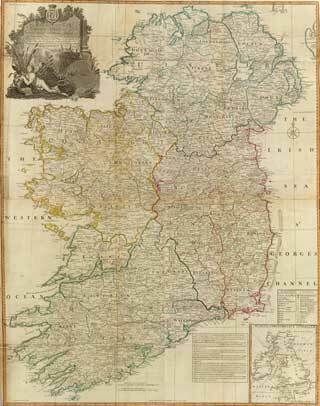 “Penn in Hand: Selected Manuscripts,” an online collection, currently offers over 1,400 online facsimiles of manuscripts. The collection also includes over 100 facsimiles of the Lawrence J. Schoenberg Collection, a collection of late medieval and early modern manuscripts donated in April by 1953 College graduate and Wharton MBA recipient Lawrence Schoenberg. Van Pelt is one of the first American libraries to have a large public digitized collection that is free of charge, said Nancy Shawcross, curator of the Rare Book and Manuscript Library. The Fall of the Western Roman Empire: An Archaeological and Historical Perspective is the latest book from Dr Neil Christie of the University of Leicester. The division of the vast Roman Empire can be traced chiefly to the 280s AD when the Empire, wracked by civil wars and external threats across the Third Century, was firmly brought back under control. Nonetheless, the separation remained somewhat fluid until 395 when Theodosius I, the last ruler of a united Roman Empire, died leaving the two halves to his sons Arcadius and Honorius. The Eastern Roman Empire subsequently flourished, spreading around the Mediterranean with its capital at Constantinople (today’s Istanbul). It peaked in the Sixth Century under the Emperor Justinian and persisted as the Byzantine Empire all the way through to the 15th century. A Scottish historian has discovered that the game of football was being played as early as the 15th century, and that by the 16th century organized games were taking place just outside castles throughout Scotland. Scottish Football Museum curator Richard McBrearty has found several records relating to the game in the archives of the National Library of Scotland. An extremely rare Egyptian coffin, possibly belonging to the son of a king or a very senior official, has been ‘discovered’ at Torquay Museum by an archaeologist at the University of Bristol. Dr Aidan Dodson, a senior research fellow in Bristol’s Department of Archaeology and Anthropology made the discovery while undertaking a long-term project to catalogue every single Egyptian coffin in English and Welsh provincial museums. Jocelyn Wogan-Browne, Ph.D., a medieval literature scholar whose work has focused on the use of vernacular language and women’s’ narratives in medieval texts, was installed last week as the Thomas F.X. and Theresa Mullarkey Chair in Literature. 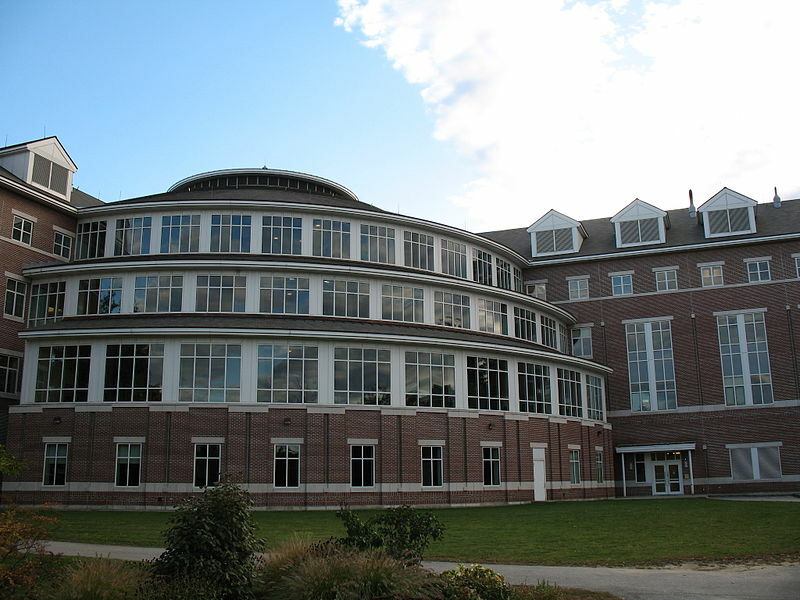 Thomas Mullarkey (FCRH ’54, LAW ’59) and his wife, Theresa, endowed the chair to the University in 1987. It is a testament to the late Thomas Mullarkey’s love of—and vision for—the University that he attended and served, Theresa Mullarkey said. For a thousand years the idea of the crusade has defined nations and empires, justified wars and acts of terrorism and inspired everyone from medieval minstrels to Ridley Scott. But is all that potency built on a misunderstanding? New historical research suggests that the campaign that became known as the First Crusade was not a religious war, was not started by the Pope, was not really about regaining Jerusalem and was actually a direct result of a little local difficulty in modern day Turkey. According to Harvard University Press, a forthcoming book by the British historian Peter Frankopan is "countering nearly a millennium of scholarship" by emphasising the overlooked eastern origins of the Crusades. Dr Frankopan, the director of the Centre for Byzantine Research at the University of Oxford, told The Times Cheltenham Literature Festival yesterday that "something is not quite right" with the traditional version. This has maintained, with remarkable consistency, that the First Crusade was a product of the Council of Clermont in central France in 1095, where Pope Urban II called on the faithful to free Jerusalem from occupation by Muslim Turks. The Pope's evangelism was prompted by "disturbing news" received from Jerusalem and Constantinople of atrocities committed against Christians by the Turks. The speech electrified Europe and helped to raise an army of between 80,000 and 90,000 men, 30 times larger than the Norman force that had conquered England a generation earlier. Two friends who uncovered a huge haul of 14th century coins worth up to £50,000 in a farmer’s field in Corringham have promised to split their jackpot find. Brian Smyth, 65, from Rayleigh, and Nick Rowntree, 57, from Rochford, have been metal detecting for a combined half a century but declared their most recent find as their biggest ever on Friday. The pair discovered the medieval ‘piggy bank’ containing almost the whole range of English currency circulating in the late 1300’s, including a substantial number of large gold and silver coins, whilst out on their weekly Sunday morning treasure hunt. Rocke—the Nicky Mariano Librarian and director of the Berenson Library at Villa I Tatti, the Harvard University Center for Italian Renaissance Studies in Florence, Italy—will present a keynote lecture titled “Sodo and His Friends: ‘L’amore masculino’ and Male Friendship in Early Modern Italy” on Thursday, October 20th. The following day, he will participate in a Ray Smith-HC Mini-Seminar. Both events are free and open to the public; however, the seminar requires registration. In 1999, the Walters Art Museum and a team of researchers began a project to read the erased texts of The Archimedes Palimpsest—the oldest surviving copy of works by the greatest mathematical genius of antiquity. Over 12 years, many techniques were employed by over 80 scientists and scholars in the fields of conservation, imaging and classical studies. The exhibition Lost and Found: The Secrets of Archimedes will tell the story of The Archimedes Palimpsest’s journey and the discovery of new scientific, philosophical and political texts from the ancient world. This medieval manuscript demonstrates that Archimedes discovered the mathematics of infinity, mathematical physics and combinatorics—a branch of mathematics used in modern computing. This exhibition began yesterday at the Walters from and will run until January 1, 2012. Archimedes lived in the Greek city of Syracuse in the third century B.C. He was a brilliant mathematician, physicist, inventor, engineer and astronomer. In 10th-century Constantinople (present day Istanbul), an anonymous scribe copied the Archimedes treatise in the original Greek onto parchment. In the 13th century, a monk erased the Archimedes text, cut the pages along the center fold, rotated the leaves 90 degrees and folded them in half. The parchment was then recycled, together with the parchment of other books, to create a Greek Orthodox prayer book. This process is called palimpsesting; the result of the process is a palimpsest. Stanford Assistant Professor Marisa Galvez has written a book about medieval songbooks, pointing to troubadours as the models for modern poets. The poem can seem like a timeless art form. When we talk about the poetry of nature or dance, we’re referring to a primeval form of language – it’s as if verse existed before other words even made it on the scene. But, in reality, the European poem as we know it was invented, and fairly recently, too. What we in the West think of as poetry is largely the result of 12th-century troubadours and their controversial insistence on singing about the profane. Work is set to begin on a medieval-style garden which has been in the pipeline for five years. Higham Ferrers Tourism, Business and Community Partnership is set to develop the garden in the grounds of Chichele College in the town. The partnership has been given a grant of more than £21,000 from The Big Lottery Fund’s Changing Spaces initiative for the project. The cash will pay for work including hard landscaping. The rest of the project will be paid for using a donation from the Duchy of Lancaster Benevolent Fund and cash raised through fundraising events. Many of the plants will be paid for by people who have pledged cash towards a plant. Chichele College was founded in 1425 by Higham’s most famous son, Archbishop Henry Chichele, and was used to house secular canons. An international team – led by researchers at McMaster University and the University of Tubingen in Germany – has sequenced the entire genome of the Black Death, one of the most devastating epidemics in human history. This marks the first time scientists have been able to draft a reconstructed genome of any ancient pathogen, which will allow researchers to track changes in the pathogen’s evolution and virulence over time. This work – currently published online in the scientific journal Nature - could lead to a better understanding of modern infectious diseases. 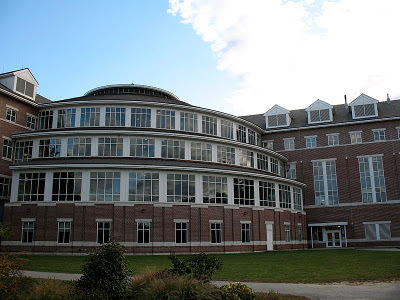 Bates College will host the 38th annual New England Medieval Conference beginning at 9:30 a.m. Saturday, Oct. 22, in Room G65, Pettengill Hall, 4 Andrews Road (Alumni Walk). The theme is "Medieval Miseries: Responses to Hard Times." Conference topics range from the plague to the connection between physical disabilities and royal ambition, from the rise of stock markets to depictions of grieving for the dead. Among the presenters is Bates Professor of History Michael Jones, who will speak about "The Worst of Times and the Worst of Times: Climate, Famine and Pestilence during the Medieval Transitions." Jones' talk will explore the 6th and 14th centuries in terms of climatic deterioration, famine and epidemic, revealing parallel miseries that afflicted both of these transitional periods. 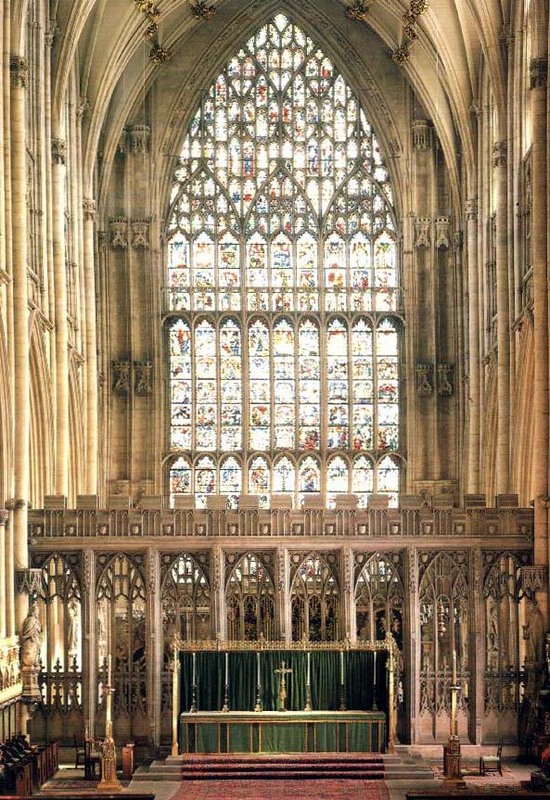 The secrets of the Great East window at York Minster are to be explored in a BBC television documentary. The window, at 78ft (24m) in height, is the UK's largest medieval stained-glass window. The 311 individual panels reveal a Christian history of the world, as told in the Bible, from Creation to the Last Judgement. Often referred to as Britain's Sistine Chapel, the window was created between 1405 and 1408 by John Thornton. It is one of the earliest pieces of art by a named artist in England. Conservationists are launching a new bid to safeguard medieval paintings at hundreds of East Anglian churches. They fear rood screens painted in the 14th - 16th Century are under threat from damp and woodworm. The Bishops of Norwich and St Edmundsbury will be present for the launch at an international conference on protecting religious buildings, being held at Westminster Abbey today. Challenges of the Conservation of Artworks in Churches is being organised by the Church of England’s Church Buildings Council, which is chaired by the Anne Sloman OBE, formerly the BBC’s chief political adviser, who lives in North Norfolk. A section of Hadrian’s Wall has been repaired thanks to funding made available through the Higher Level Stewardship scheme administered by Natural England. The repair which is on part of Hadrian’s Wall between the impressive Roman fort remains at Great Chesters and Housesteads, provides protection for both the Roman remains of the Wall and early conservation work carried out by John Clayton in the 19th century. As a reminder of his work this section is still known today as the ‘Clayton Wall’. 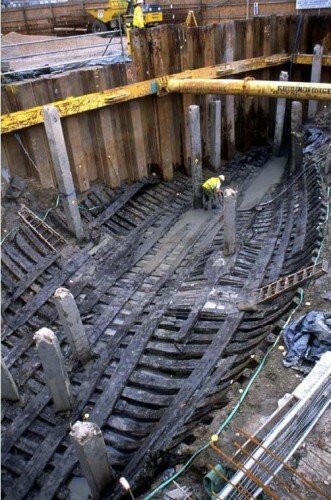 A medieval ship discovered on the banks of the River Usk in Newport in 2002 could be a step closer to finding a home. Newport Council has put a tender out to developers asking them to recommend a suitable location for the vessel. It is seeking a specialist company who would be able to provide a new museum based around the ship's history. The vessel has been called the world's best example of a 15th Century ship. Its medieval remains were discovered on the banks of the River Usk as work began on the foundations of a theatre complex. See also "Sealing the Fate of the Newport Ship"
The World Monuments Fund’s President Bonnie Burnham has announced the 2012 World Monuments Watch. Since 1996, the biennial Watch has drawn international attention to cultural-heritage sites in need of assistance, helping to save some of the world’s most treasured places. The 2012 Watch includes 67 sites, representing 41 countries and territories. The list of most-at-risk sites includes those dating back to medieval and ancient times, as well as several modern-day structures. The 67 sites vividly illustrate the ever-more pressing need to create a balance between heritage concerns and the social, economic, and environmental interests of communities around the world. Moreover, in addition to promoting community cohesion and pride, heritage preservation can have an especially positive impact on local populations in times of economic distress, for example through employment and the development of well-managed tourism. 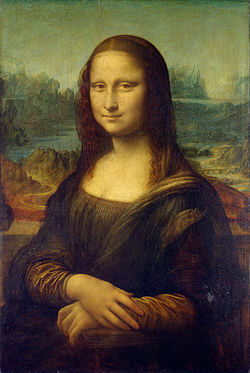 It is arguably the most famous and highly debated portrait ever, but new research has sparked a debate about the landscape behind Leonardo da Vinci’s Mona Lisa. The enigmatic work, which hangs in the Louvre in Paris, has been the subject of speculation for centuries. Now Donato Pezzutto, a Canadian doctor and amateur art historian, has come up with a startling theory about the work’s background. He maintains if the right and left halves of the painting are reversed and aligned, the landscape that emerges is a scene from central Italy which corresponds to the da Vinci’s own map of the area. t’s been a decade and a half since manuscript hunter George Greenia discovered a missing medieval Spanish document in the archives at the University of Virginia’s Alderman Library. Tallinn has announced it will begin renovating towers along a stretch of city wall that promises to turn the ancient ramparts and secret passageways into a viable alternate route between upper and lower Old Town. The city government announced on October 3 that it would restore the Neitsitorn and Tallitorn tower and the city wall walkway between them. This will link up with two other projects: by 2012, it should be possible to walk along the parapet from Neitsitorn to its storied neighbor Kiek in de Kök and, by August 2013, from Neitsitorn all the way to Freedom Square, partly via old underground passageways. As a historian of the Middle Ages, I am frequently asked about the links between universities then and now. Given the momentous changes that are affecting modern-day institutions of higher education and that touch the lives of so many people - students, parents, teachers, employers - such questions have become more frequent and more urgent, too. All historians (especially those of us who focus on more ancient times) delight in pointing out parallels between "our" period and the present. An assessment of the role of medieval universities reveals some telling affinities between higher education then and now - and may hold lessons for today's turbulent times. The Walters Art Museum announces the launch of its redesigned works of art website with the removal of copyright restrictions on more than 10,000 online artwork images through a Creative Commons license. In addition to being able to download these images for free, the site introduces a new look and feel, and enhanced searching, tagging and community collections features. The website now has additional information about the artworks, including nearly a century of history concerning exhibitions and conservation treatments. It is also substantially more accessible to users with disabilities due to its increased compliance with the United States government’s internet accessibility standards. Providence author Stephen O’Shea is more than a writer of historical narratives. He is designing engineer and pilot of a time machine that transports readers back in time 800 years or more. He takes us to medieval Europe, a world alien to modern sensibilities, and makes it understandable by illuminating the historical record with the storytelling techniques of new journalism: scene setting, character development, and dialogue. I first became acquainted with O’Shea’s historical scholarship and narrative craftsmanship a decade ago when I read “The Perfect Heresy,” his engrossing account of a little-known Christian heresy that took root in southern France in the 13th century, then was savagely suppressed by Pope Innocent III and crusading knights from the north. The heretics were pacifist Christians of austere belief who followed holy men (and women) whom the Roman church labeled as “perfect,” as in fully committed to their spiritual quest. Hence it became the “perfect” heresy; otherwise known to historians as the Albigensian heresy since it was rooted in Albi in south-central France. Researchers from the universities of York, Oxford and Sheffield have created a new website that aims to identifying the scribes who made the first copies of works by major authors of the 14th and early 15th centuries, including Geoffrey Chaucer and William Langland. Late Medieval English Scribes is an online catalogue of all scribal hands (identified or unidentified) which appear in the manuscripts of the English writings of five major Middle English authors: Geoffrey Chaucer, John Gower, John Trevisa, William Langland and Thomas Hoccleve. 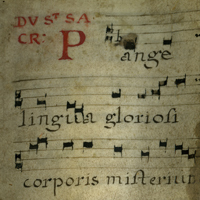 The site already displays over four hundred images of manuscript pages and nearly 17000 images of medieval lettering. A graveyard dating back to the 7th century has been discovered just of Dublin. The site was uncovered as part of construction on an underground electrical line in the village of Rush by Eirgrid, Ireland’s state-owned electric power transmission operator. The burial site was discovered in June and tests conducted at Queen’s University, Belfast date the graveyard to between 617 to 675 AD, the pre-Viking era which saw the conversion of the country to Christianity.